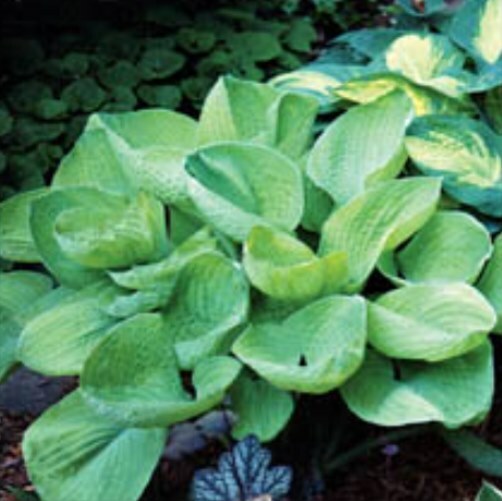 Hosta 'Aladdin's Lamp' offers a combination of a rich gold color and incredible cupping. Mature leaves are corrugated, cupped, of good substance and measure 8” long by 6” wide. FLOWER: Very pale lavender, mid season.